Mix together 1 cream cheese, bacon, half the ranch dip mix, 1 TBS ranch dressing, salt and pepper, and 1/2 cup cheddar cheese. 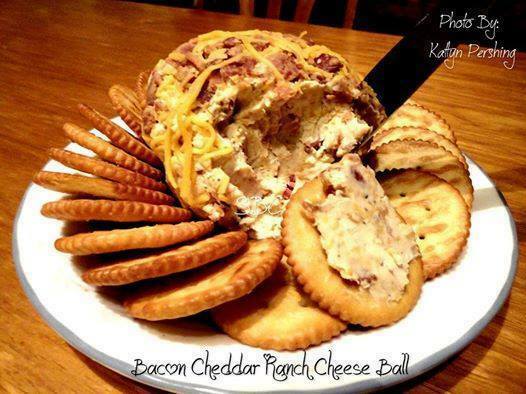 Then form into a ball and cover with 1/2 cup cheese and the bacon you set aside. repeat for second ball. You can make half of this recipe. Make a great appetizer for parties! This entry was posted in Appetizers, Cheese. Bookmark the permalink.